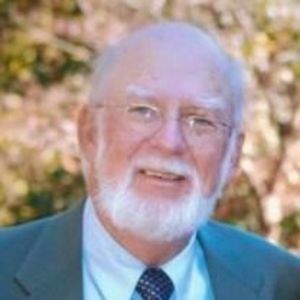 James Willis Martin, Jr., 75, of Raleigh died on November 5, 2017. He was preceded in death by his wife, Phyllis Beddingfield Martin. Willie was a graduate of NC State with a degree in Industries Engineering. He spent his career working for Burlington Industrial, and then Galey and Lord, from where he retired. Willie loved to play golf, work on classic cars and watch NC State sports. He also loved playing bridge and socializing with his friends at Springmoor. Not only was he willing to help anyone out, he was also a wonderful husband, father and grandfather. Willie leaves behind his two daughters, Amy Martin-Nelson (David Nelson) of Groton, Massachusetts and Holly Renigar (John) of Raleigh; and granddaughter, Hazel Renigar. A Celebration of Life will be held on Thursday, November 9 at 11:00am at Springmoor Retirement Community, 1500 Sawmill Rd, Raleigh, NC. Donations may be made in his memory to Transitions LifeCare or Wake County SPCA.